An exciting card in any Tarot Reading is the Three of Wands. This card illustrates a lone man looking away from the viewer toward a distant vista. A bright yellow sky is the main backdrop. A golden ocean shows a few ships returning from distant lands. There are three wands (also called rods, these are wooden shafts that resemble a walking staff) firmly set upright out of the ground. He has his hand on one of them to his right. Two stand behind him. He is wearing brightly colored robes and a headband around dark brown hair. 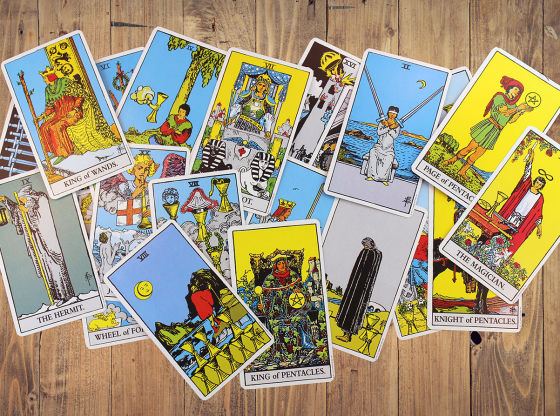 All cards belonging to a suit are in the Minor Arcana of the Tarot. They are all numbered and are descendents of the Major Arcana card carrying that number. The Three of Wands is descended from The Empress, the Major Arcana card emblazoned with a Roman numeral 3 at its crown. The Three of Wands reinforces the desire of The Empress for abundance. The ships, though tiny, are symbols of impending success. 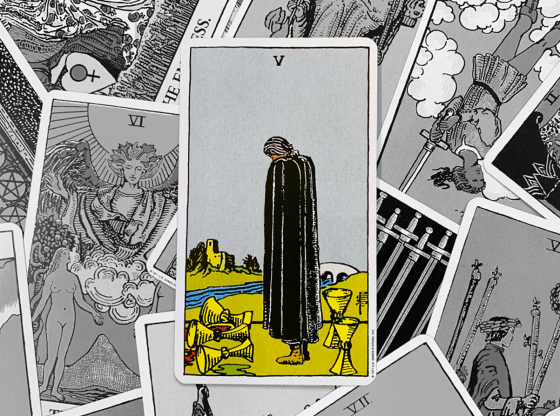 The high perch of the man in the card is a metaphor for grasping the big picture. The Three of Wands is a card that means success is on its way. This card implores you to maintain a confidence and steady commitment to see your dreams come to fruition. The Three of Wands is a card that almost always represents the person receiving the reading. When it appears in your reading, the position will tell you when things will be most hopeful. The Three of Wands in the past position of a reading represents a situation in which you had hope. The reading may indicate that this has changed or is being reinforced depending on the card or cards in the present position. When the Three of Wands appears in a reading representing the present it reflects that you have invested a lot of optimism into some venture or relationship. Knowing whether this is a rational judgment or blind optimism can be ascertained. 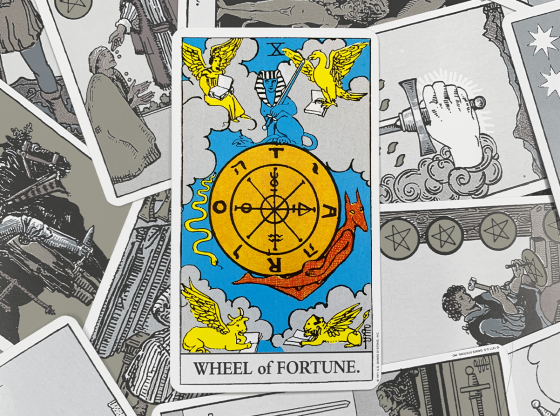 It will take an analysis of the cards surrounding the Three of Wands. The best position for the Three of Wands is the Future. When the card is drawn for here it shows that hope will spring eternal concerning all of the matters in which you are currently invested. A deeper understanding of the Three of Wands and how it represents you in your reading is available by seeing which other cards are in the reading and where they are in relationship to this card. 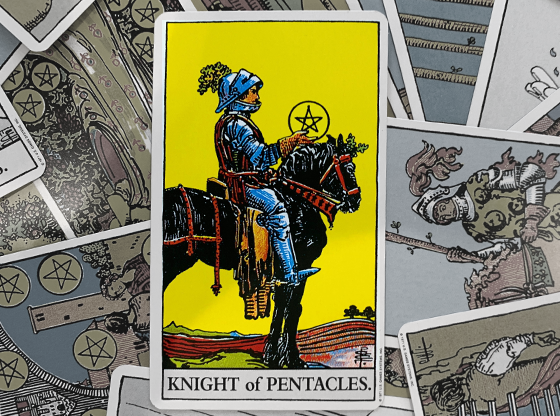 There are four suits in the Tarot Deck: Pentacles, Cups, Swords and Wands. Each carries its own meaning. There are distinct themes when any of the suits appear in a reading along with the Three of Wands. 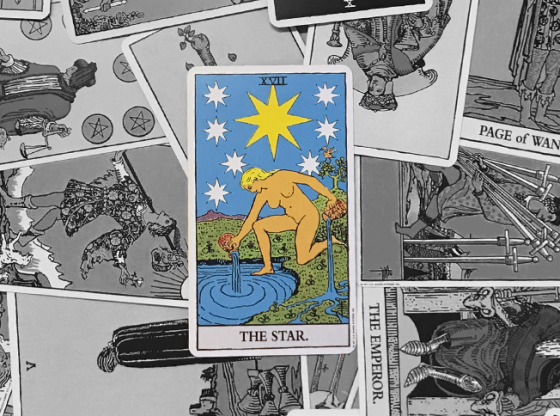 A few Pentacle cards showing up with the Three of Wands indicates that a money situation is likely to get more hopeful. Positive love life energy abounds when the Three of Wands appears in a tarot spread that features many Cup cards. A reading with the Three of Wands and many other Wands cards represents a time to seize career opportunities as a way up. One thing to be wary of is a lot of Sword cards in your reading if they are interacting with the Three of Wands. The reason for this is that Swords represent ideas and words and often interact with results-oriented Wands to make your plans just a bunch of hot air. Swords in a reading have a tendency to make the things you are optimistic about stay as ideas. Swords avoid tangible accomplishments. They might inspire the hopeful Three of Wands card if they are placed in the past. As predecessors, Sword cards are legendary in their power to be the spark of an idea that can be discussed until it is a plan that can be put into action. 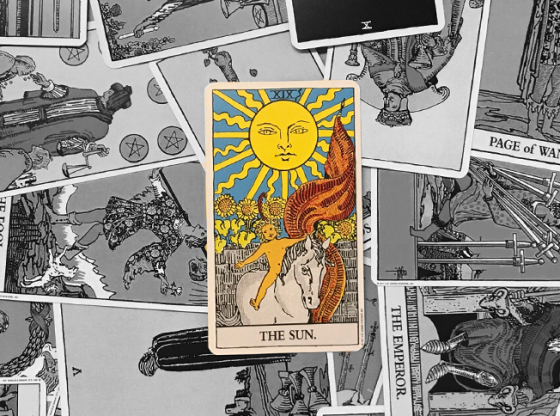 If, however a Sword card or two dominate the present or future situations in your reading that features the Three of Wands, this could mean that all of your hopes are illusions and that your plans for the future are not really well thought out or stand on shaky ground. 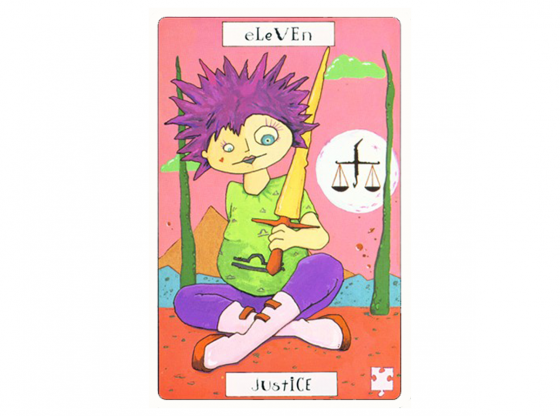 When cards from the Major Arcana appear in a reading along with the Three of Wands, the Three of Wands immediately is reduced to a supporting role in the reading. A card with a supporting role tells us about superior cards in the deck. Major Arcana cards are superior to the Minor Arcana. 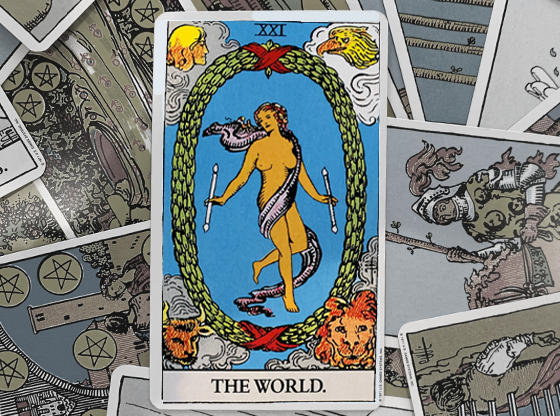 A Three of Wands is best paired with two Major Arcana cards: The Empress and Death. These cards are numbered 3 and 13 respectively. The Empress is a card that signifies gathering all the good things in life in one place, as one person, for one purpose. Death is a card that signifies a transformative purging of everything that is in the way of you being who you really are. The Three of Wands makes the seeking and acquisitiveness of The Empress a purpose-driven journey. The Three of Wands assures that the Death Card signifies a crossing over to a better chapter in one’s life, unencumbered with the past. When supporting The Hermit or The Hanged Man, the Three of Wands is great for supplying practical solutions to assist you getting out of the doldrums. When paired with Temperance, you will find that elusive will power needed to diet, stay sober or quit a destructive lover to whom you are addicted. 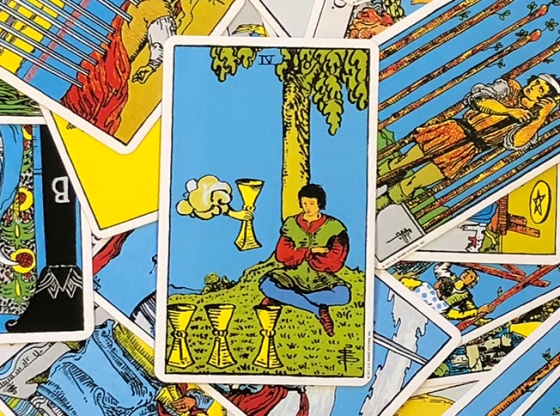 The Three of Wands showing up with The Emperor card indicates that a domineering boss or lover may actually be better for you than you initially suspected. 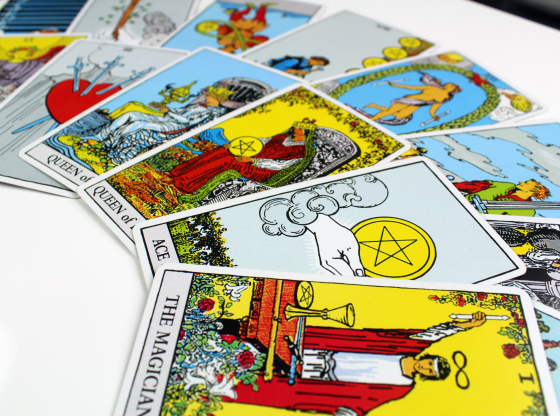 Some women getting tarot readings find out that men who seem overly macho on the surface are often much more committed to being your protector than they ever imagined.